Date posted: June 12, 2015 by: JasonDarkX2 Category: Gaming Tech 5 comments. YouTube is taking another whack at the popular gaming live streaming site twitch.tv with the announcement of YouTube gaming for summer 2015. It’s strictly going to be a YouTube built for gamers. Dividing up every game into their own pages, and adding new genres such as Let’s Plays, walk-through, speed runs, etc. The new apps are aimed to keep gamers connected to their favourite games, and players. Giving you access to videos, live streams all in one place. As much as I used to love uploading gaming content on YouTube not too along ago. One thing that kept holding me back was the “Matched third party content” copyrights for just about almost everything in a game video if it’s not X visual, it’s X audio there’s always some random company or person trying to claim a video and put ads on them to earn a quick buck when you’re not in a partnered program. This stuff has to stop so content creators can spend more time making videos instead spending time editing videos to evade the bogus copyright claims. Seriously, having, to deal with copyright claims when you’re just promoting a game and not monetizing anything is a complete waste of time. At least crack down on those lazy re-uploaders stealing other youTuber videos in an attempt of impersonating. Nothing like trying to watch a trailer of a game where the ad playing before it is another ad for a different game. Worse of all is those user video ads. If they want to run a good gaming, video service there has to be zero ads before videos/Livestreams cause it’s very annoying to hit that skip button every time. So keeps ads on the side and make them gaming related only. Otherwise, adblock FTW blocking everything! Ah yes, this is something I personally want, as much as I love how easily to find popular channels since the current YouTube only promote those. Finding new channels with potential to see what new members of the community are doing is interesting from time to time. A simple channel creation date, number of uploaded video and/or subscribers sort filter will be fine. 4. )Have a section that only promotes new videos/channels. Viewership of newly upload video has gone way down since back in 2005. When you’re running a new channel, uploading new videos as it’s mostly likely been buried by the hundreds of thousands of other videos uploaded and the most popular ones being promoted for more than 24 hours on the front page. Having a dedicated section that only promotes newly uploaded videos in the last hour would be enough to help new channels and reward those putting a lot of effort in making good video content, get some exposures. Cause hard work being rewarded is better than none at all. 5. )Whatever you do don’t make a mandatory integration with Google plus. gamers don’t need Google plus, consider integration with other services like Xbox Live, PSN, or Steam instead. Nothing like being easily connected to the people you meet on live streams and sharing your gaming information with one another. Simply leave Google plus out of gaming scene and it will be a happy place. Agree or disagree with my list leave the flames in the comments section, I'll be interested to see. 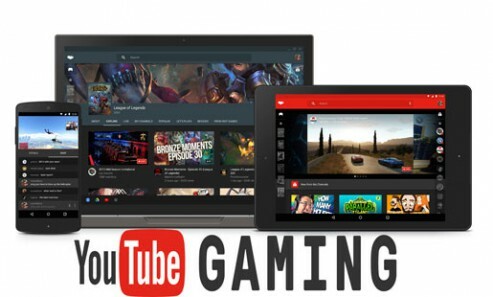 But hey if Google gets it right with YouTube Gaming it surely will be the best place to be if you're a gamer. But otherwise lets hope it doesn't become a flop extension of YouTube. till then like everyone else, planning for a comeback for when YouTube gaming launches is in the works. Haha I ROFL at #5 no Google plus, I don’t even know why I still have mine but it gets lots of view. I like the idea of promoting new channels and videos it gives the potential lime light to everyone that actually tries, that’s what it was like in 2005. Copyright claims on non monetize videos of people not making a living on youTube is the biggest turn off for new users trying to upload stuff.